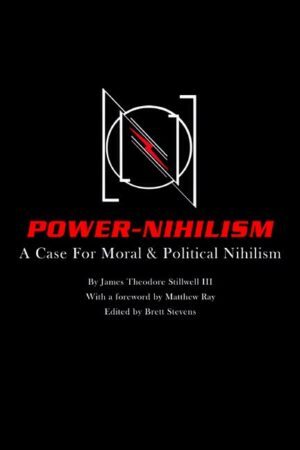 Power Nihilism is a ruthless yet entry-level application of logic to religious, moral and political superstitions of all kinds. Central to this exposition is the clarity given by the ‘is-ought gap’- something apparent to independent minds given to logical thought which is also commonly known to students of philosophy (themselves apparently often unable to come to this logical conclusion on their own) as Hume’s Guillotine. The idea is basically that one cannot derive absolute ‘oughts’ from ‘facts’, since the latter are simply ‘descriptions’, while the former are ‘prescriptions’. “The only ‘oughts’ that are cogent,” argues Stillwell, are those conditioned by a formula entailing the wish of an effect based upon causes (if one wants ‘A’ to come about, then ‘B’ ought to be brought about).